If you can picture yourself sitting by the fire with a glass of wine or indulging in a feast at a gourmet restaurant, Hunter Valley Wine & Food Month should be on your to-do list. This much-anticipated annual event showcases the region’s diverse wine and food culture with a month-long series of themed activities throughout June. It’s a food and wine extravaganza that is the perfect antidote to those winter blues and your chance to wine and dine with leading Hunter Valley winemakers and chefs, take part in an array of fun and interactive classes to fine-tune your culinary skills, or just curl up beside an open fire with a glass of premium Hunter Valley wine and a cheese plate. 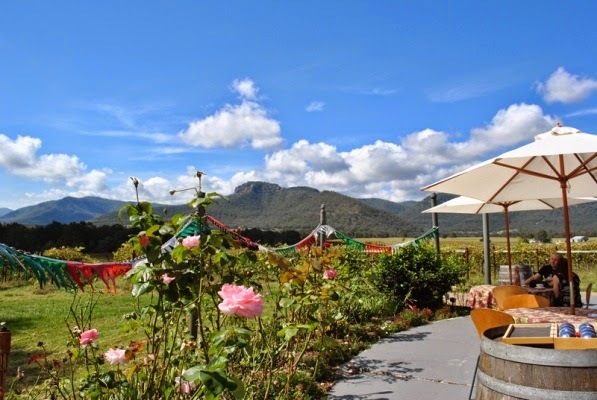 The historic Hunter Valley wine region is home to more than 150 wineries and, being just two hours’ drive north of Sydney, is the ideal short break destination. During the month-long celebration in June there will be a variety of accommodation and event packages throughout wine country, so come and indulge in the simple pleasures of Hunter Valley life! Chef’s Plate Lunches offer foodies the chance to enjoy a set price lunch at some of the Hunter Valley’s best restaurants. For just $39, diners can enjoy a main meal and a glass of Hunter Valley wine, and at some restaurants, something sweet to follow. The ultimate Hunter Valley food and wine experience. This series of intimate lunches and dinners is hosted by a leading Hunter Valley winemaker. They will select a range of their favourite wines that will be paired by a Hunter chef, who will come and talk you through their food match. For the aspiring ‘wine master’ or those who just want to know more: Learn more about your favourite wine variety, the different characteristics the vineyard can produce, and the essential steps in the winemaking process. For those who love a good food adventure, this is where the journey begins! Meet leading producers and chefs as they show off their skills and dish up creative gourmet fare matched with wines - highlighting the Hunter Valley’s fresh regional produce. For those who want to explore their inner foodie & top up their skills in a hands-on Masterclass. This has been one of the most popular series in past years, with a variety of educational food experiences on offer. You can learn how cheese is made, what to look for in a quality olive oil, how to match cheese & wine; meet the makers & go home with new recipes & tips to impress your friends in the kitchen. A series of comforting, indulgent experiences set by an open fire in our guest houses, cellar doors and restaurants, and the perfect way to relax on a cool winter’s day. Enjoy a fireside afternoon tea, warming winter soup and wine and more. Organised by The Hunter Valley Wine & Tourism Association, the 2015 Hunter Valley Wine & Food Month is proudly supported by the NSW Government’s tourism and major events agency, Destination NSW, through the Regional Flagship Events Program. get better year on year through to around 2024. IF you've a special-occasion dinner coming up and roast lamb with rosemary, baked vegies and a mint-infused gravy's on the menu, for a wine to go with it don't look past Forester Estate's 2012 Cabernet Sauvignon from WA's Margaret River. From a great growing season the company says was "extremely kind" with good winter rain leading to a slightly warmer than normal summer, this is an interesting drop blending 91% Cabernet Sauvignon, 4% Cabernet Franc, 3% Merlot and 2% Petit Verdot. And it's all resulted in rewarding cedary oak, cassis, tobacco and currants on the palate, combined with red berry, violets and delicate floral characters, and with a firm and long finish. While certainly a great companion now with that roast lamb and trimmings, give it another year in-bottle and it'll only get better year-on-year through to around 2024. It's a recommended $38. and perfect with all kinds of seafoods. ONE TO NOTE: FOR those who like to watch their alcohol intake, and the calories, New Zealand's Matua has released a lighter than normal Sauvignon Blanc from the famed Marlborough region that makes for a great match with all kinds of seafoods. With nine per cent alcohol that makes it 25% less below the usual, this one still retains lovely crisp tropical passionfruit and gooseberry flavours, and interestingly is from the company that planted New Zealand's first Sauvignon Blanc back in 1969, and certainly shaking-up the industry in doing so. In fact today more Sauvignon Blanc – both locally grown and huge amounts from New Zealand – is now sold in Australia than any other white variety, having knocked Chardonnay off its perch back in 2012. Pay $22 for this current 2013 Matua Lighter Marlborough Sauvignon Blanc. a good oven-baked leg of lamb. NEIL McGuigan has a philosophy: if a winemaker and the team supporting him aspire to make a super-premium wine that people will readily pay $150 a bottle for, then the culture they develop in creating that wine will see them lift the bar in everything else they do in the winery. "So in our case it's also resulted in a McGuigan $10 wine now feeling to consumers like a $12 wine because of the extra effort that's gone into it, a $20 like a $25 and so on," says Neil, who has gone further than just have a philosophy, he's created a label he calls The Philosophy and which has devotees happy to pay its $150 price. Neil says he's put ten years effort into the label, with his whole team throwing themselves into its success with the same "vision, passion, strength and drive" as his own. "Not only did we develop a super-premium, exceptional red, along the way we've created new tiers of wines within the McGuigan portfolio, and raised some existing labels to a point of over-delivering at their price level." The 2010 McGuigan The Philosophy Cabernet Sauvignon Shiraz is made from small parcels of fruit from the Eden Valley and Clare District of South Australia. With intense flavours of raspberries, mulberries and plum, and with a lovely softness on the palate, it makes an exceptional partner for special-occasion dining paired with rare-roasted aged fillet of beef or a good oven-baked leg of lamb. start, and a Spanish seafood paella to follow. ONE TO NOTE: KATNOOK Estate enjoyed excellent-condition fruit from an early 2014 harvest in Coonawarra that was dry and mild, and in the case of the company's Sauvignon Blanc resulted in especially vibrant varietal fruit character. While labelled Sauvignon Blanc this one's got a 7% Semillon component in it that's given a palate of delicately balanced tropical lychee fruit flavour, and herbaceous, mineral and flinty tones and a rewardingly zesty finish. Pay $25 and enjoy this as a dinner starter with natural oysters squeezed with fresh lemon, and followed we'd suggest, with a Spanish seafood paella. Have you ever pictured yourself curled up by an open fire, glass of Shiraz in hand and rolling mountains nestled just outside your window as the sun sets on a crisp winter’s evening? Now, have you ever dreamed that one day you could rub shoulders with over 190 years of rich history and wine knowledge as you participate in an exclusive masterclass? During Hunter Valley Wine & Food Month, the possibilities do not end there. 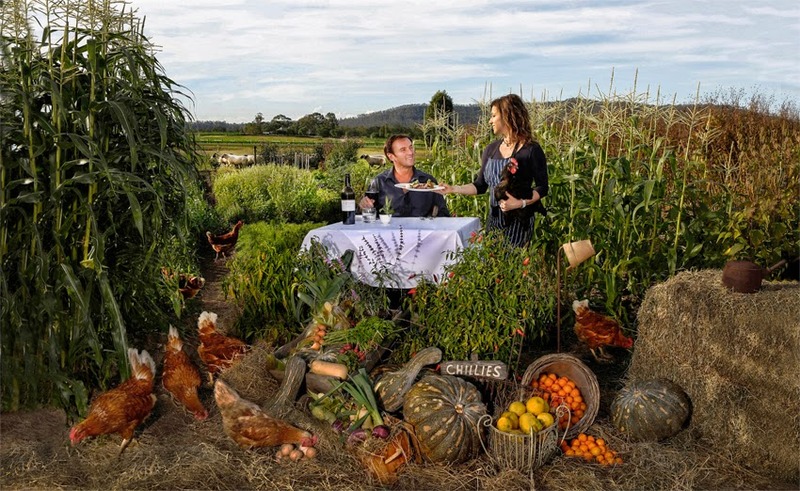 Within this year’s very exciting program is an eclectic range of events that allow visitors to experience the Hunter Valley through a locals eyes. In fact you can hang out with the locals united by a mutual love of food, or wine, or both during the month-long series of themed activities throughout June. The historic Hunter Valley wine region is home to more than 150 wineries and, being just two hours’ drive north of Sydney, is the ideal short break destination. During the month-long celebration in June there will be a variety of accommodation and event packages throughout wine country, so come and indulge in the simple pleasures of Hunter Valley life. In 2014 both the Young Restaurateur of the Year and Gourmet Traveller Wine Young Winemaker of the Year awards were awarded to bright young talent from the Hunter Valley. Chef Troy Rhodes-Brown, owner of Muse Restaurant and Muse Kitchen and Winemaker Gwyn Olsen of Briar Ridge Wines will together tantalise your taste buds over one of the programs most sought after lunches. An exciting 4 course menu designed by Troy will be matched with fabulous Briar Ridge wines by Gwyn for an all-inclusive price of $125pp. Come and join us at Glandore Estate when the sun begins to set & we light the flame on our annual Burning of the Barrel bonfire! Where one, poor old unsuspecting empty wine barrel will be placed upon the pyre and set aflame just so we can have a bloody good night out! $70pp for non-Glandore members. Saturdays during June & Sundays by appointment for groups of 12pax or more. Start your day with a Tour of First Creek Wines with seafood duo and wine to match then travel by bus between another three of the Hunter Valley's leading venues, sampling fabulous Hunter Wines paired with tasty morsels prepared by renowned local Chef Matt Dillow. 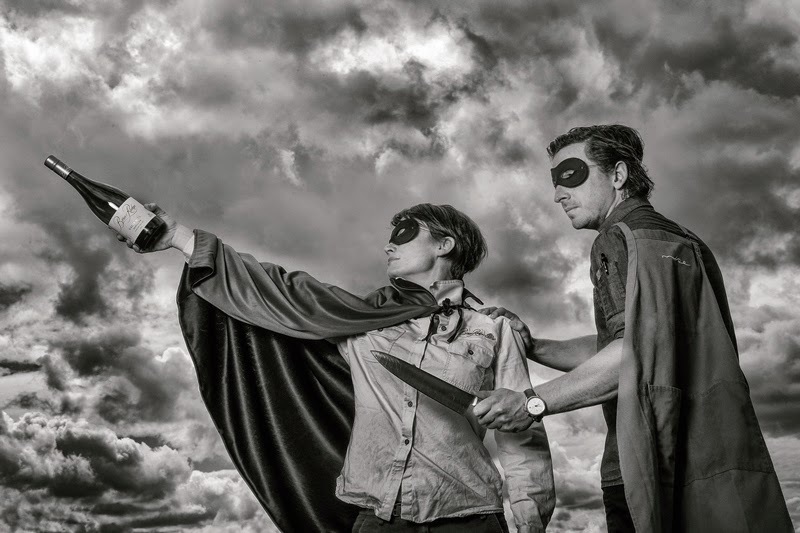 $110pp for food, matching wines, transport between venues. 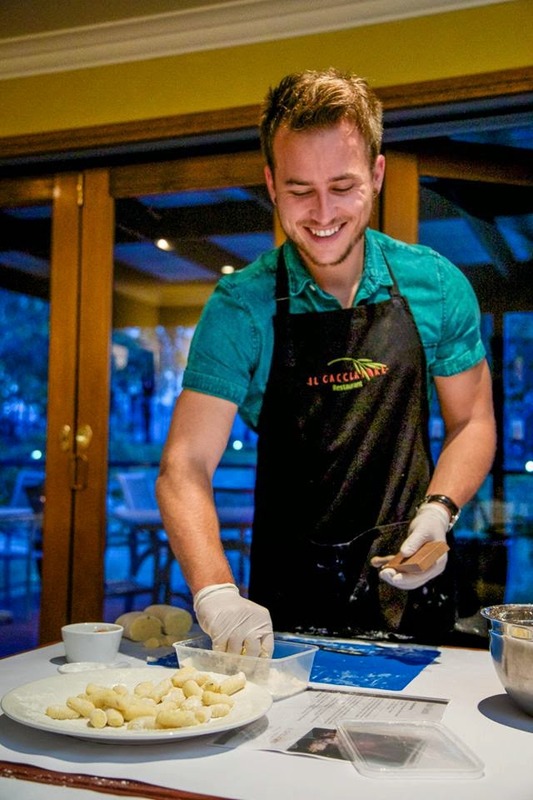 Il Cacciatore invites you to participate in a fun, hands-on gnocchi making class followed by a two course lunch with a small group of like-minded individuals who enjoy Italian food, wine, a fun time and don’t mind getting down and dirty (floury)! All inclusive $115 pp. Calabria Family Wines' rare Saint Macaire. WHEN you're the only winemaker in Australia turning out a rare variety that's even disappeared in its homeland France, it could be anticipated you'd slap on a hearty price-tag to reflect its uniqueness – and the more-so when that wine's a ripper drop. But Calabria Family Wines at Griffith in the NSW Riverina ask just $14.95 for their Oak Aged Saint Macaire, that's both a great conversation starter and a wonderfully unique match with game dishes and oven-baked lamb with plenty of thyme, sage and rosemary, equally-herbed lamb chops off the barbecue, or vintage cheddar. Saint Macaire originated in a region 40km south of Bordeaux and was named after a local village, but Phylloxera wiped out all the vineyards there in the late 1800s; the variety was introduced into Australia in the 1970s/80s with the intent of using it in making port, but when port sales crashed soon after vines were pulled out en masse. It was only Bill Calabria at Calabria Family Wines (formerly Westend Estate) who kept small commercial quantities of vines, while Ian Hollick at Hollick Wines in Coonawarra held 20 vines he's been observing all those years in the event they could give him a kick-start should seasonal and market changes create a demand. complexity over the next five years. Calabria Saint Macaire has unique violet, rose petals and spice on the nose, and rewarding spicy blackberry and plums on the palate. A rare beauty well worth trying. ONE TO NOTE: A 2014 Semillon from Margan Family Winegrowers' forty year old vines at Broke in the Hunter Valley is drinking superbly right now – but for those with the patience, it'll do so even more rewardingly if you let it age to classic Hunter Semillon complexity over the next five years or so. Margan's Fordwich Sill Vineyards are renowned for fruit that gives richer and softer style wines with intense citrus flavours, and this one is no different with a palate that's crisp and zesty with a refreshingly long finish from its great balance of fruit and acid. At $18 perfect with shellfish, crustaceans, whiting, John Dory or snapper fillets. Come and experience A Little Bit of Italy as the flavoursome festival celebrates its 10 year milestone. On April 11th and 12th, 2015, the Broke Fordwich Wine Region in the Hunter Valley will become all things Italian, providing rustic ambiance and mouth-watering aromas, all in the one location. Known as the picturesque and more tranquil side of the Hunter Valley, Broke Fordwich will have an array of gourmet delights and world class wines, on offer to provide the ultimate Italian experience, without the hassle of overseas travel. The renowned event was initially born in 2005 from an intimate Italian dinner that was hosted at a local home and catered by Italian chef Bruno di Sarno. Growing immensely each year through word of mouth largely, the festival now attracts more than 3,000 people to the region during the weekend, as it authentically celebrates the traditional Italian lifestyle revolving around food, music, wine, family and community. Starting at the 'Passport Office' on the main street of the historic village of Broke Fordwich, visitors can pick up a passport which will outline all the venues that are participating in the Festival. The price of entry is a $10 souvenir tasting glass to be used for a complimentary sample of local wines from each of the region's top 12 producers. As you travel around from venue to venue, get your passport stamped to go in the draw to win over $2,000 worth of wine, food and accommodation. Plus, to make getting around easier, there will be a shuttle bus available all weekend for only $5 per day. In love with Italian food? Indulge in nonna's old-town recipes with live cooking demonstrations happening at several locations across the two days, or enjoy a luscious spread of woodfire pizzas, gelatos, olive oils, formaggi, wines and fresh local produce. Other highlights during the festival will include live entertainment, market stalls and puppet shows that are fun for the whole family. President of Broke Fordwich Wine & Tourism Association, Eden Anthony says, "We have had a great time in bringing to our Festival the love for good food, wine, music, fun, warmth and friendship that is always Italian, and so reflective of the general way of life in the Broke Fordwich region." Che sta per essere un buon weekend! Buon Appetitio!! - It's going to be a good weekend, have a great meal! This event is proudly supported by Glencore. with pan-fried trout and oven-baked Kipfler potatoes. THE recent opening of yet another cellar door in the NSW Southern Highlands, this one at Cherry Tree Hill Wines at Sutton Forest, is further indication of the growth of this small, impressive and relatively new winemaking region – and further reason to visit it's now eighteen cellar doors showing-off their exceptional cool-climate wines. Gabi Lorentz and his family established a farm at Sutton Forest after arriving from Hungary in the 1980s, planted grapes in 2000 and have not looked back. And their small but attention-grabbing portfolio of Cherry Tree Hill wines (that are made for them by respected local makers Anton and Mark Balog) have garnered a nice wall-load of awards from outings both to Australian and international wine shows. One that particularly contributed towards these is a 2006 Riesling that's still available and has aged beautifully with its still-fresh citrus, herbaceous and candied fruit characters, fine acidity and a wonderfully long and crisp finish. Certainly worth the $45 price tag to put on the table with pan-fried trout and oven-baked Kipfler potatoes when family or good friends come around. pasta dishes and most grilled meats. 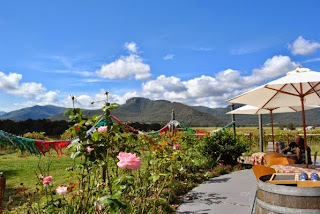 The new cellar door is open 10-4 Thursday, Friday and Monday and 10-5 weekends; for full details of their wines check out www.cherrytreehill.com.au or phone General Manager, David Lorentz on 0414 366 000. There's a nice 10% discount for 6-bottle orders, 20% for 12, and delivery is just $12 for anything from 1 to 48 bottles. ONE TO NOTE: RYMILL that recently celebrated forty years since its first vines were planted at Coonawarra in 1974, have released a 2013 Rymill Yearling Cabernet Sauvignon that's as frisky as the one-year-old thoroughbred the label takes its name from, with lively, fruity aromas that have hints of cocoa and peppermint as well, and a lovely palate of sweet ripe plums, blackcurrants, subtle spice and balanced acidity. This is a delightful drop with an easy-drinking softness that's not for tucking away in the cellar, but for buying now and drinking now. At $15.95 you'll find it a great accompaniment with tomato-based pasta dishes and most grilled meats. 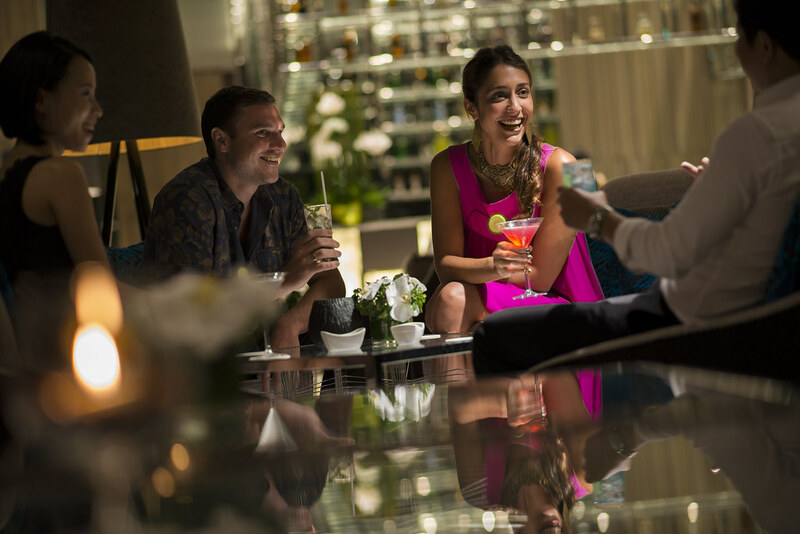 IHG (InterContinental Hotels Group) has partnered with Pernod Ricard to launch its BAR150 program, celebrating 150 years of mixology, which sees its hotel bars serve up an exciting new menu of signature cocktails, complemented by a range of appetising bar snacks. 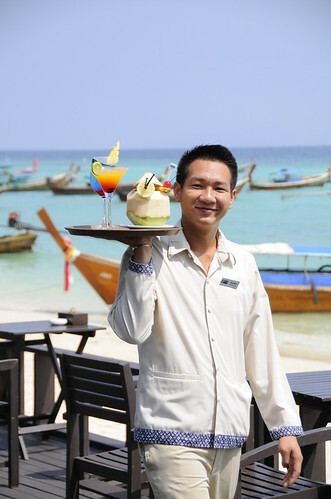 The program has launched across IHG’s managed InterContinental, Crowne Plaza and Holiday Inn hotels and resorts throughout its Asia, Middle East and Africa (AMEA) region. Under the partnership, Pernod Ricard has designed a series of popular cocktails for IHG hotels based on its rich brand portfolio, which includes Aperitif, Whisky, Scotch Whisky, Cognac, Gin, Vodka, Rum and other liqueurs. The French wine and spirits group also sets a high standard for bartenders at IHG hotels in making and serving cocktails to ensure its originality. Phil Broad, Vice President, Food & Beverage, AMEA, IHG, said: “Around 150 years ago the first cocktail recipe appeared in print, kick-starting a mixology movement that continues to go from strength to strength. There’s so much history and heritage behind the region’s most loved cocktails so we are celebrating the best of these with BAR150 - from the Mint Julep which was popularised at what is now InterContinental The Willard Washington DC, to the Mojito, which can trace its history back to the explorer, Sir Francis Drake. Pernod Ricard is the world’s co-leader in wine and spirits, representing top brands, including ABSOLUT vodka, Chivas Regal whisky, Beefeater gin, Martell cognac, The Glenlivet single malt whisky, Royal Salute Scotch whisky, The Ballantine’s blended Scotch whisky, Perrier-Jouët champagne, Malibu and Havana Club rum, among many others. The refreshed cocktail menus are accompanied by a wider revamp of the hotel’s bar snack menus. The menus are tailored by hotel brand, with InterContinental, Crowne Plaza and Holiday Inn hotels and resorts offering up their own unique dishes, created by top chefs from across IHG hotels in AMEA. The new menus have been designed to showcase some of the best flavours from across the region and will complement the new cocktails on offer, giving guests a heightened bar experience. IHG is one of the largest restaurant and bar operators in the Asia, Middle East and Africa region with more than 800 restaurants and bars across 37 countries, and another 200 restaurants and bars to be unveiled as IHG opens the 137 hotels in their pipeline. · Launched the IHG Culinary Panel, which features five celebrated chefs who have developed a repertoire of signature dishes which will be available at selected restaurants across IHG hotels in AMEA. · Launched the InterContinental Planet Trekkers Children’s Menu globally, a menu designed to take young explorers on an exciting journey of food discovery, and which was developed by celebrity chef Theo Randall and leading children’s food expert book author, Annabel Karmel MBE. · Announced a partnership with Nutrition Australia to develop a fun and nutritionally-balanced kids’ menu for Holiday Inn Hotels & Resorts across AMEA, which will be available later this year. and perfect match with a prawn and paw paw salad. A NEW label out of the Barossa Valley pays tribute to a stalwart of the region, Bob Wade who with mate Brian Miles devoted fifty years to establishing and managing some of the region's finest vineyards. Bob's son John has launched the new Haslemere label, naming it after a 70-ha vineyard Bob and Brian planted together in 1993, and whose fruit for more than 20 years has been used in the making of top drops from companies including Penfolds, Wolf Blass and Hardy's. That same fruit will now go into this new label. John Wade said those vineyards of his Dad, who passed away in 2009, and Brian Miles produced fruit that was second to none, with the Haslemere Vineyard now managed by Brian's son Bob, and wines for the new Haslemere label to be made by consultant winemaker Mark Maxwell. One of the first to be released just before Christmas was their Haslemere Samuel's Row Eden Valley 2014 Riesling that features outstanding citrus tones, clean mineral freshness and a lovely dry finish – all reflective of the excellence of Riesling from this region; pay $22 and enjoy with a prawn and paw paw salad. ONE TO NOTE: THE Clare Valley's Mr Mick Wines has released a 2014 Vermentino that's one of those wonderfully easy-drinking whites for simply enjoying on its own, or enjoying with Italian-style seafood dishes… this, after all, is a wine of Italian origin. Priced at $17 a bottle and with grapefruit, fresh apple and nashi pear flavours, the 2014 is what winemaker Tim Adams calls "a trial release from dipping our toe in the water with Vermentino," and adding that he and wife Pam (also a winemaker) intend to "really get behind and increase the make." Tim and Pam describe themselves as "custodians" of the landmark Mr Mick property that was named after K.H. (Mr Mick) Knappstein, a legend of Australian winemaking who believed passionately in creating wines for everyone to enjoy, every day.